Abused and neglected children and youth soon will have another way to express themselves, thanks in part to two grants totaling $7,500 from the Investors Bank Foundation and the Roma Bank Community Foundation to Community Treatment Solutions (CTS) of Moorestown. The non-profit organization currently is fundraising to build its own arts and recreational center for the children and youth in its many programs. Buchwald says CTS, a mission-driven and strengths-based organization, is about halfway toward completing its fundraising goal for building its own center – the Elise Nocella Arts and Recreation Center – thanks in part to the grant from Investors Bank. It will be a safe space where kids can participate in, create, and enjoy the arts, theatre, music, and sports. 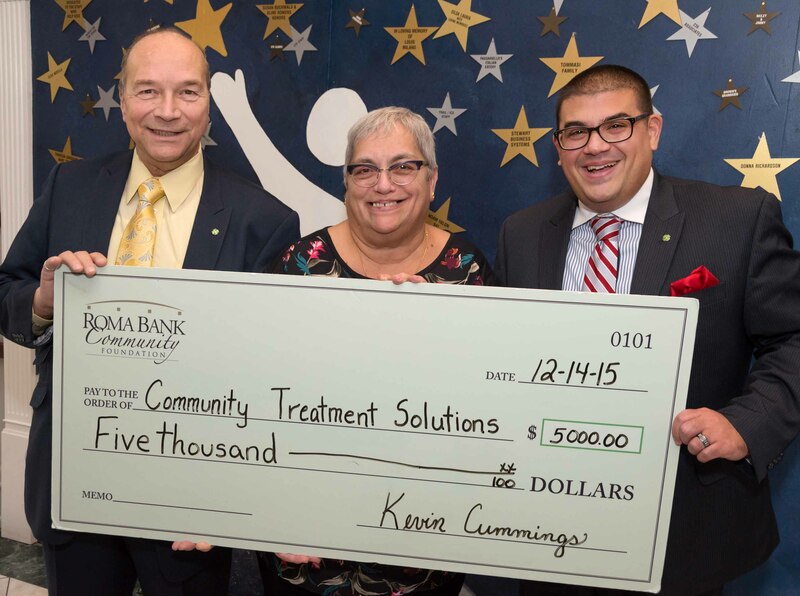 CTS applied for the grants from the foundations, which support non-profit organizations that enrich the diverse communities served by Investors Bank; Roma Bank became part of Investors Bank in December 2013.